Aerial view shows TEPCO's tsunami-hit Fukushima nuclear power plant in late April. Japan denied that a government project to monitor online news reports and Twitter posts about the Fukushima nuclear crisis was an attempt to censor negative information and views. Ogami said the agency had set aside funds in the nation's disaster reconstruction budget for a project to monitor "inaccurate" online information that may lead to harmful rumours against residents of Fukushima. "But we will never ask Internet providers or web masters to delete such information or pin down the senders," Ogami said. "We will simply explain our thoughts on our own website and our own Twitter account." The controversy was triggered when METI's Agency for Natural Resources and Energy earlier this month opened a call for bids for its so-called Nuclear Power Safety Regulation Publicity Project. The bid said the agency needed a contractor "to monitor blogs on nuclear power and radiation issues as well as Twitter accounts around the clock". The contractor would be asked to "conduct research and analysis on incorrect and inappropriate information that would lead to false rumours and to report such Internet accounts to the agency", it said. The contractor would then "publish correct information in question-and-answer format on the agency's website and Twitter account, after consulting with experts and engineers if necessary", said the call for tenders. Asatsu DK, a major Japanese advertising company, won the contract for 70 million yen ($897,000) which expires at the end of March 2012. 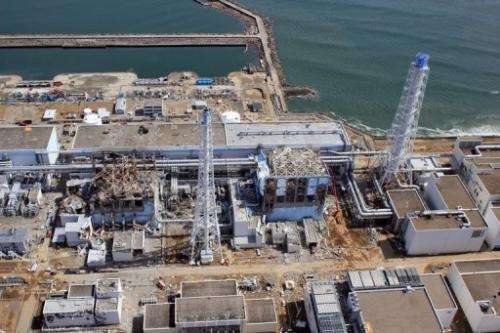 The Fukushima Daiichi plant was hit by nuclear meltdowns and explosions after it was damaged by a powerful quake and tsunami on March 11, and it has since continued to release radiation into the air, soil and sea. The disaster has forced the evacuation of tens of thousands of people and led to bans on farm produce, including some vegetables, mushrooms, dairy products and most recently beef after cattle ate contaminated straw. The crisis has hit the local farm and fisheries sectors hard. Many residents in Fukushima prefecture have reported facing painful discrimination and harmful rumours, such as claims that they spread radioactivity when they travel outside their home region. First,it is not the government which would censor the news,it would be those who built and maintained this facility. Secondly,affixing blame seems a little naive given the gravity of the earthquake and resulting tidal wave. However,it's very hard to collect from a fault line under the Pacific. All attorneys must collect for negligence,and everyone knows the insurance companies must find a culprit to avoid any payments. Lastly, it is disturbing for everyone to point to one fault line amongst the hundreds around the globe. Normally men move to places they think are safe,like Memphis which had a very serious earthquake a mere 200 years ago.Living in California and travelling through Oregon I can assure you nobody knows much about under the ground.Otherwise they wouldn't insure those living around Mt.St. Helens.